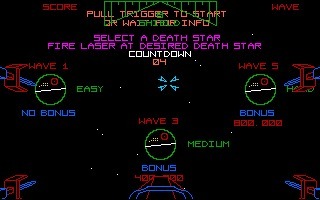 Star Wars is an arcade created by Atari in 1983, during the golden age of the arcade games. 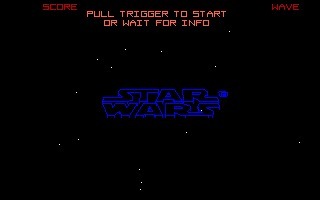 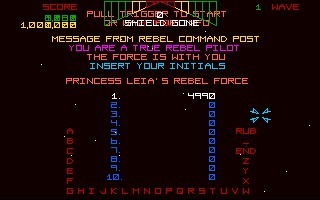 Star Wars is an arcade created by Atari in 1983, during the "golden age" of the arcade games. 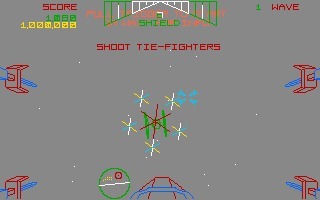 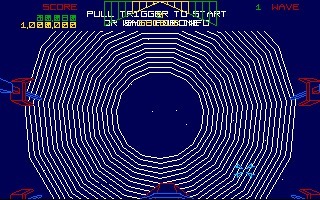 Using 3D vector graphics, the game is first person space sim, simulating the attack on the Death Star from the 1977 Star Wars movie. 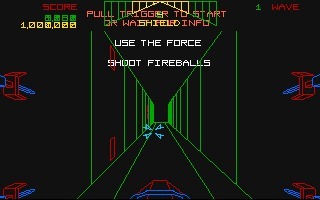 It is considered the n.4 most popular game of all time and it has been ported to many platforms. 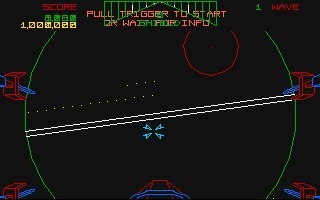 GamesNostalgia offers you the Amiga version, released in 1989, one of the most faithful to the original arcade.